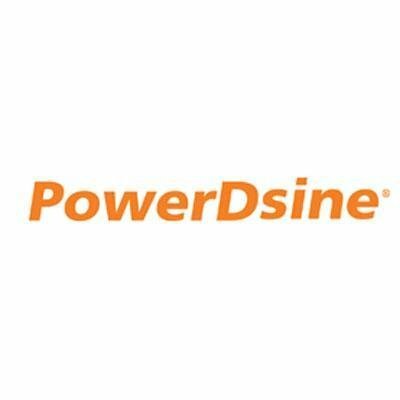 The PowerDsine 9500G Family is designed specifically to power high power network devices such as PTZ and Dome network cameras, Access Control systems, Thin Clients and other Ethernet end terminals that require high power up to 51W. The PowerDsine 9500G Family includes 6, 12 and 24-port models and are fully backward compatible and safe to use with any 802.3af and 802.3at terminal such as VoIP Phones, IP Cameras and WLAN Access Points. The 9500G family provides power over all 4 pairs of the RJ-45 cable, dissipating 50% less power than 2-pair Midspans and switches, while fully complying with the IEEE802.3at-2009 standard. For secure remote management, all PD-9500G models include PowerView Pro management software supporting IPv4 and IPv6 addressing. If you have any questions about this product by Microsemi PoE, contact us by completing and submitting the form below. If you are looking for a specif part number, please include it with your message.